A new state law which makes it easier for gun-rights groups to fight firearms measures has divided Pennsylvania communities, with nearly two dozen municipalities ready to abolish gun control ordinances rather than be dragged into court. An attorney for four pro-gun groups and several residents, Joshua Prince, has blamed the new law for putting nearly 100 Pennsylvania municipalities on notice that they will face legal action unless they cancel their firearms laws, AP reported. According to Prince, at least 22 of those municipalities have already either abolished them or plan to do so. Pennsylvania, known for its tradition of hunting and gun ownership, has long forbidden its municipalities from enforcing firearms ordinances regulating the ownership, possession, transfer or transportation of guns or ammunition. Gun-rights groups complained that a number of municipalities neglected the 40-year-old prohibition by passing their own gun measures. Under the new state law, gun owners no longer have to prove they have been harmed by the local measure to successfully challenge it. So organizations like the National Rifle Association can sue on behalf of any Pennsylvania member, while the challenger can seek damages as well. At least one other US state, Florida, also allows a membership organization to file suits over local gun regulations. Philadelphia, Pittsburgh and Lancaster have sued to annul the Pennsylvania law, alleging the legislation was passed improperly. Officials say meanwhile the city could ill afford a legal fight. "We get ourselves in trouble in terms of trying to circumvent a state law," AP quoted Councilman Jeff Waltman as saying. "We're not going to solve this with a local gun law anyway." Harrisburg, the capital city of Pennsylvania, wants to defend its ordinances, maintaining they comply with state law. The measures ban gunfire anywhere in the city and possessing firearms in city parks. There's also a requirement to report lost or stolen weapons. According to Mayor Eric Papenfuse, Harrisburg's laws are aimed at fighting gun violence. "I don't think it's the be-all and end-all of public safety, but I think it's an important tool to have, and it absolutely sends the wrong message to try to rescind those ordinances, especially given the epidemic of gun violence we have in cities like Harrisburg," the told AP. Gun activist and founder of American Gun Owners Alliance in the Pocono Mountains, Dave Dalton, said no municipality has a right to hijack Pennsylvania law. "What gives a town or a city the authority to say, 'We're in Pennsylvania, but we don't care about Pennsylvania law?' It's laughable," Dalton told AP. 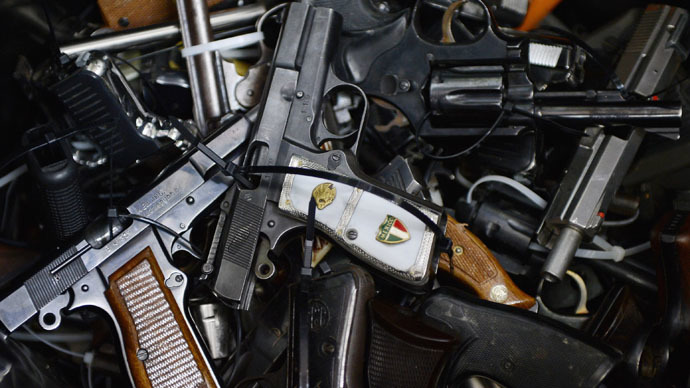 Some say the local laws have violated gun owners' rights without making people safer. "I think all of us are pleased it's a good start, that communities are starting to look at this," said Kim Stolfer, the founder of Firearms Owners Against Crime.